Let’s explain the heading to this blog post. It signals an interesting research project by a post-graduate student who also happens to be a grandparent. Carolyn Hutchison is looking for grandparents actively involved in caring for their grandchildren so we are publishing her open letter inviting you to take part in what sounds like a fascinating study. I am a post-graduate student (and grandparent) at the University of Edinburgh. 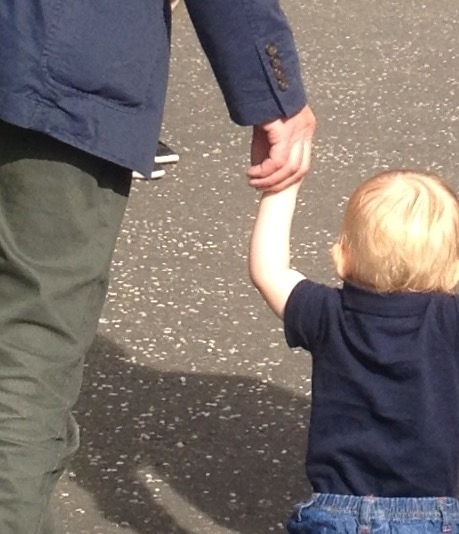 I am doing research about the experience of grandparents in Scotland who are looking after their first grandchild regularly on a part-time basis (for example 1-2 days each week). I am looking for grandparents in the Leith area who might be willing to take part in the study. Is there a grandparent in your family, or a family you know, who is caring for their first grandchild regularly, on one or two days each week? Might they be interested in taking part in the study?